If you have a tripod, please attach the camera onto it. The focus is set manual. By looking through view finder or the LCD display, move the soratama ball to have it focused. 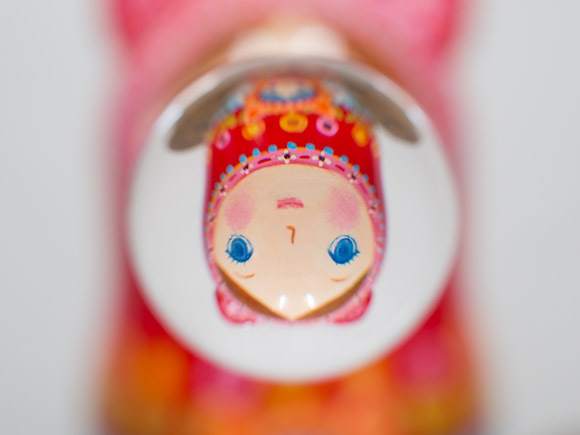 Then adjust the Soratama extension tube to the position where it was focused correctly. 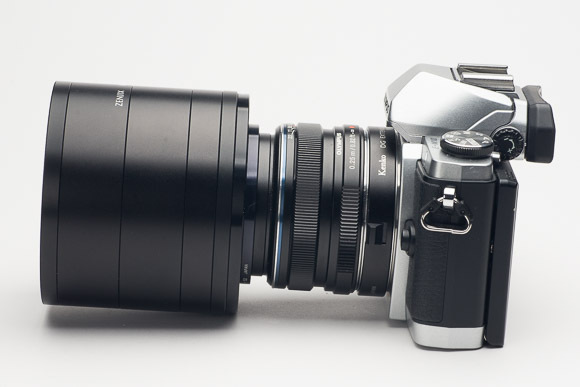 Please use the step-up ring to attach the Soratama extension tube onto the lens. If it is not focused correctly, try to adjust the length of the tube. Once it is able to focus on both near target and the target far, you are ready to shoot. 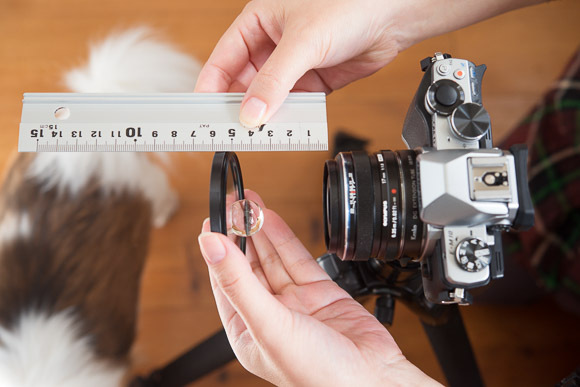 Once it is focused correctly, measure the distance and fix the Soratama extension tube. With 20mm Soratama Extension Tube. 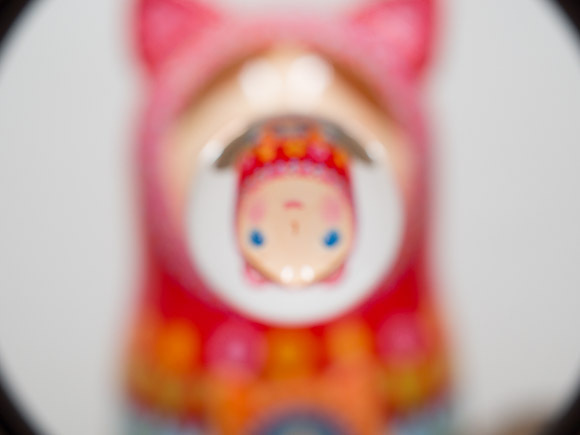 If the Soratama Extension Tube is too short, it cannot be focused properly. 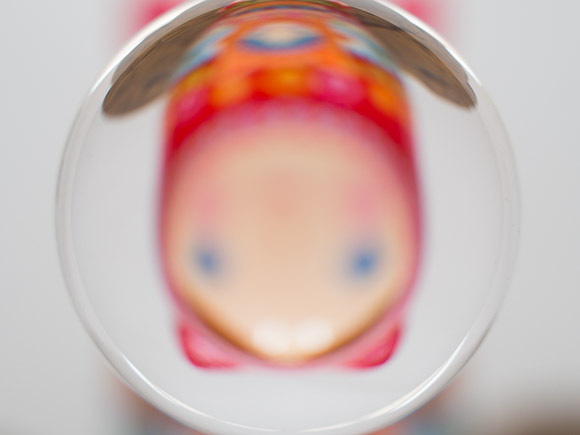 The main reason you cannot focus on the object is the length of the Soratama Extension Tube. Setting the Soratama Extension Tube to 55mm. If the Soratama Extension Tube is too long, inside of the tube gets reflected. Please adjust the Soratama Extension Tube so the size of the ball is in a good balance. 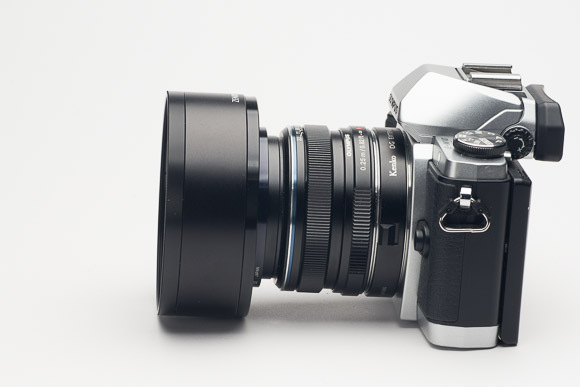 The adjustment of the focus can be done with lens focus and length of the extension tube.